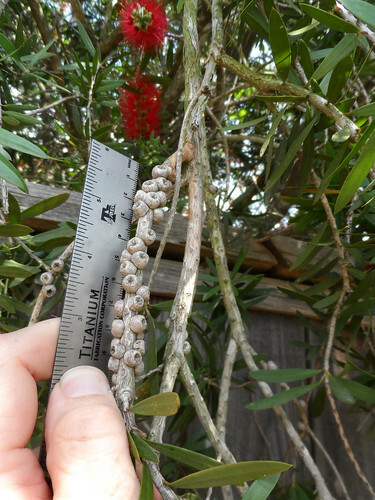 Close-up of branch with woody fruit. 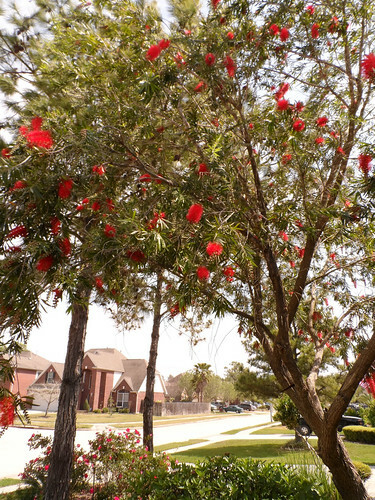 Used often as a decorative landscaping tree, the striking red blossoms of the bottlebrush tree offer more than visual beauty. Their aroma is invigorating, somewhat minty or menthol in nature. 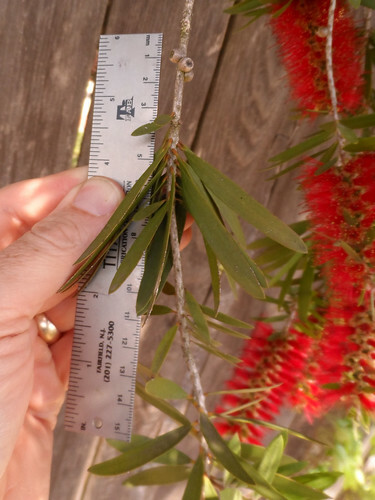 The trees are small, rarely more than 15' tall and equally as wide. The leaves are evergreen and the blossoms also last can be found on the tree almost all year round. 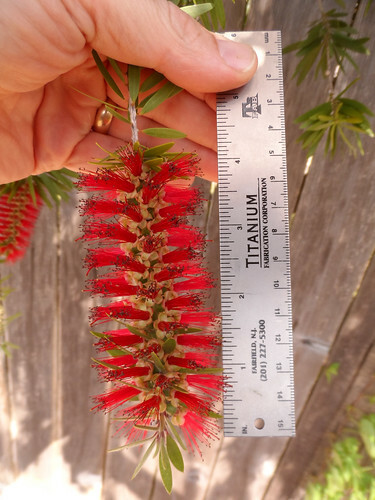 These flowers really explode vigorously in mid-spring and are often swarmed with bees who know a good thing when they smell it! 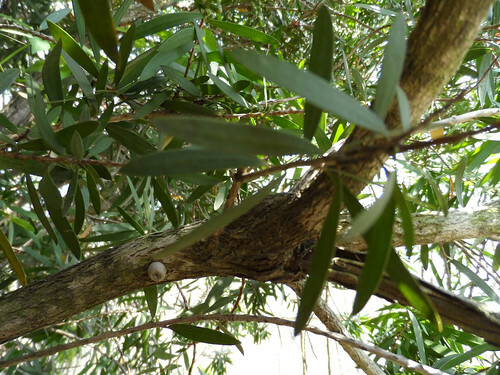 Both the flowers and leaves can be used to make an aromatic tea. The fresh blossoms do give a sweeter flavor than leaves. Aging the harvested leaves for two weeks helps as this breaks down the cell walls, allowing more of the flavorful compounds to escape into the tea. Flowers, being more delicate, do not benefit any from being aged and ideally are used fresh off the tree. 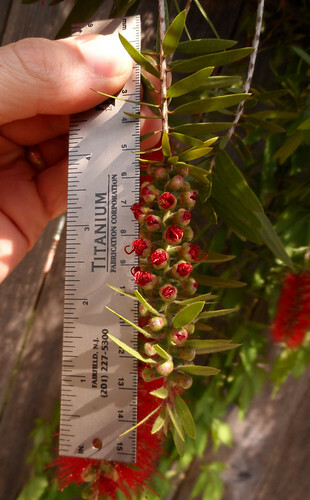 You can also use the leaves and flowers of the bottlebrush tree similar in manner to bay or rosemary leaves. Add several to a sauce, stew, or roasting meat to add an exotic flavor. 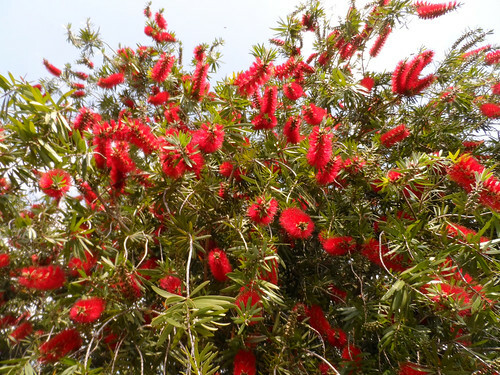 Mashed bottlebrush leaves rubbed on the skin is reported to keep away insects. 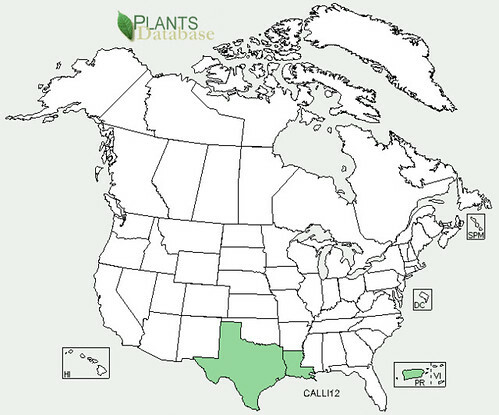 This property may also be used to keep clothes, bedding, and houses bug free by laying sprigs of the leaves around whatever you want protected.